Throughout the years, we’ve grown and evolved to better serve the city. Our event and programing team has put on learning workshops to help businesses overcome some of their toughest challenges, and they’ve hosted events with politicians and leading CEOs throughout North America to keep Calgarians on top of the latest business and political trends. At the same time, our policy and government affairs team has acted on behalf of the business community in Calgary, advocating all levels of government to implement the policies needed to make sure Calgary remains a great place to do business. Over the years, these advocacy efforts have helped to lower taxes, keep government spending in check and improve economic competitiveness. 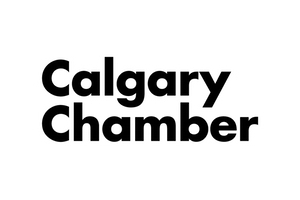 Throughout these efforts the Calgary Chamber has emerged as one of the most progressive and influential organizations in the country. And yet our goal has always remained the same – do whatever it takes to make our members’ business more successful. We’d love to hear from you and talk about how we can help your business succeed.